The perfect combo of man vs machine, bridging the warm fuzzy feeling of 70’s funk, soul and 80’s disco, with synthetic counterparts into a cohesive stylistic whole, that is most-definitely from the 21st century. ‘Platoon’, Jungle’s breakout single of 2013 and it’s quizzing music video of a six-year-old break-dancing propelled the elusive producer’s duo T and J from zero to hero in no time. Their identities were revealed soon after, as long-term friends Josh Lloyd Watson (J) and Tom Mcfarlan (T). Now as a seven-piece band, the sounds they conjure work at the intersection past, present and future: Timeless. “Jungle is a world we can escape to. We just immerse ourselves in it, and we wanted to be in control of what we were doing, creatively.”- Josh pauses -“We live in an age of social media, and Instagram is so important that everybody wants to know who you are these days. We kinda went the other way at that point. – Josh Lloyd Watson 1/2 of the founding members of Jungle comments of the band’s auspicious, yet mysterious beginnings. Their debut self-titled album was released by XL Recordings the year after, and many of its singles are still heavy on rotation five years later. Tracks such as Time, and Busy Earnin’, take a metaphorical stab at the vapidness of meaning that modern life can have at times, yet, their iridescent and unclassifiable musical in-between is so outlandishly gripping that in 2014 alone, the group would find themselves as finalist to BBC Sound Of 2014 longlist, a Mercury Award nomination, a Gold certified record, a US TV debut on Jimmy Kimmel before a set at a packed-out John Peel tent at Glastonbury. Performing extensively across the globe ever since, two singles emerged in May last year – “Happy Man” and “House in LA”, prophesying the bands highly anticipated sophomore album was in the works. ‘For Ever’, Jungle’s second studio album, is an immersive listening experience of their producer’s deepest, personal truths, and growth is easily denoted at first listen. The luxurious textures added to each track help to build the cinematic feel of the project, and their signature experimental electronic soul is taken to new exciting directions. Metaphoric statements are replaced by lived-in exhilarating statements of love, lust, infatuation, pain and loss – carefully punctuated clapping snares, expansive falsettos, dramatic strings, funky bass lines, and even sirens. For many, speaking openly about their growing pains with such vulnerability would have been a frightening endeavour, let alone put it on verse. But it definively resonated with Jungle’s ever-growing fanbase. ‘For Ever’ was released September last year, in four months it has already harnessed over 80 million streams. The project’s visual treatment is also helping to bring narrative of the album to life. Following the music videos for “Heavy California’ and ‘Cherry’, the band dropped the third visual treatment last week. The video, directed by Josh Lloyd Watson and regular collaborator Charlie Placidol, sets a very different mood than the one left by the joyful multitude of bodies in bright deep blue and green hues of ‘Heavy California’. Casio’s video starts in a dimly lit dancefloor, where Will West, the lead dancer begins his routine solo, opening up to a beautiful all-most-all-male synchronized choreography. It also ends with a message: ‘Julia, Call me’. 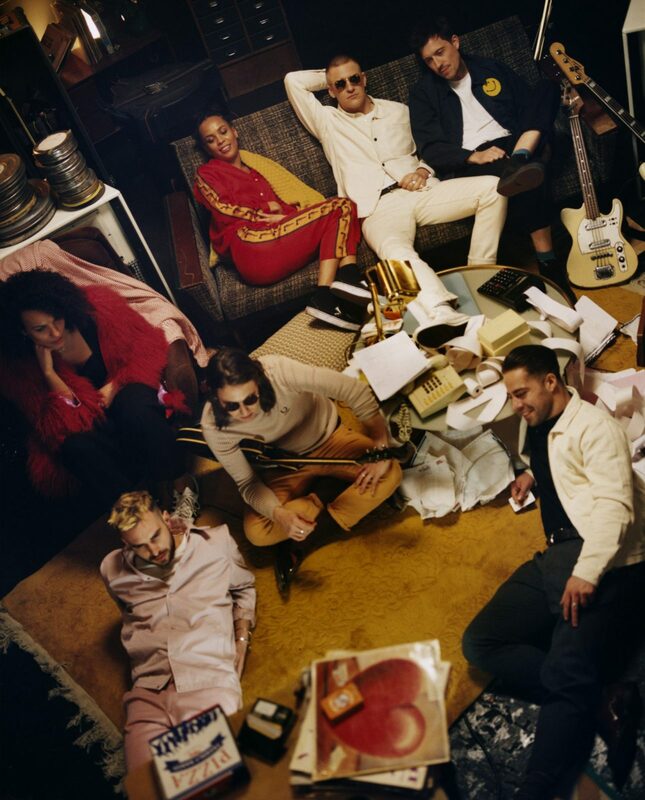 Jungle is about to embark on another global tour this week, performing across Europe, Australia, and the UK in addition to a summer of festival appearances. For us in London, Jungle are back next month to an already sold out night at Alexandra Palace with the support of Little Simz and Georgia. You can stream Casio, below. For other UK dates or full touring schedule, just click here.